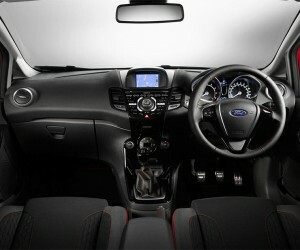 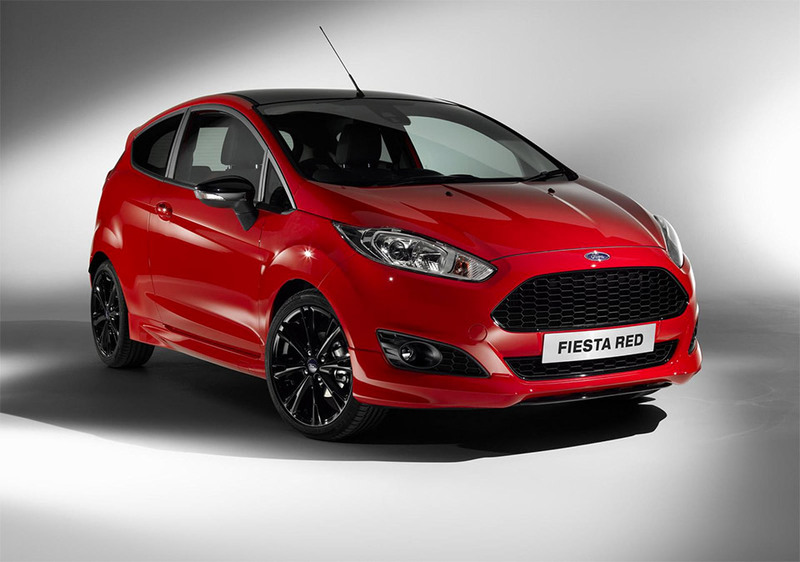 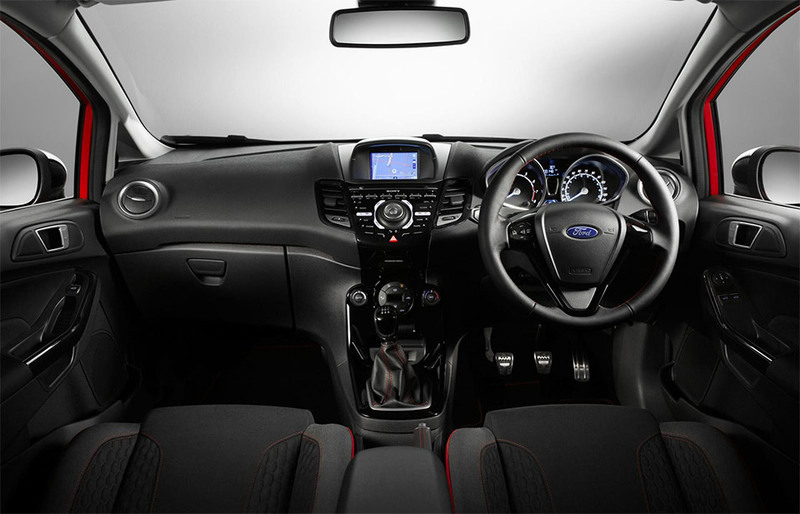 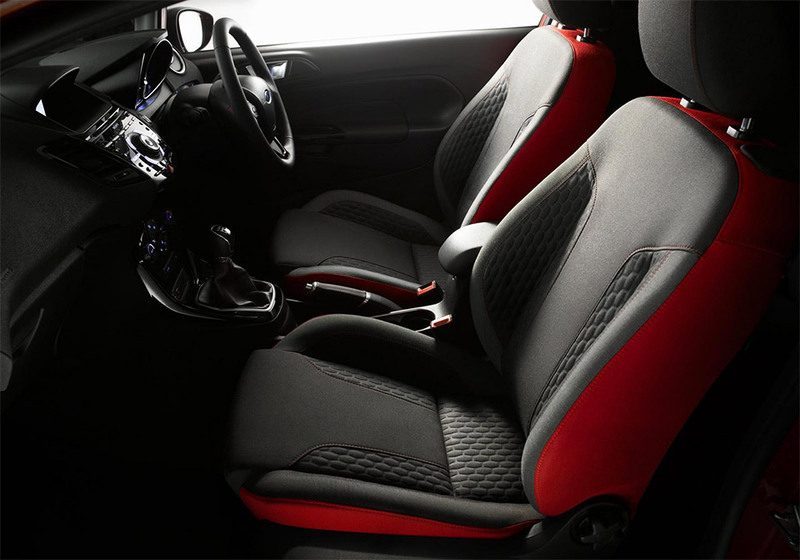 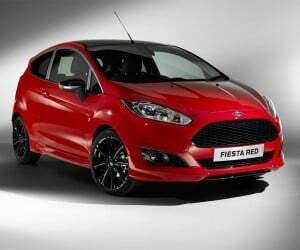 Ford has announced new Red and Black Editions of the Ford Fiesta, to be available only in the European market. 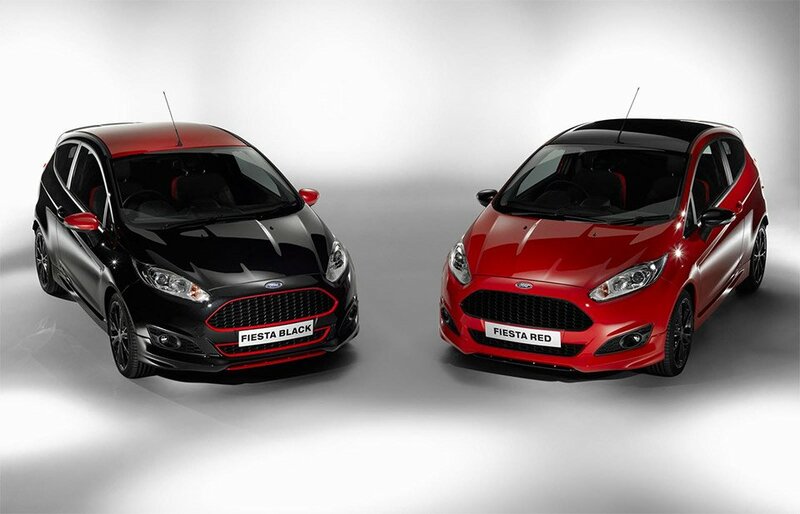 The great-looking pair of vehicles is available either in Race Red or Panther Black with contrasting red or black accents. 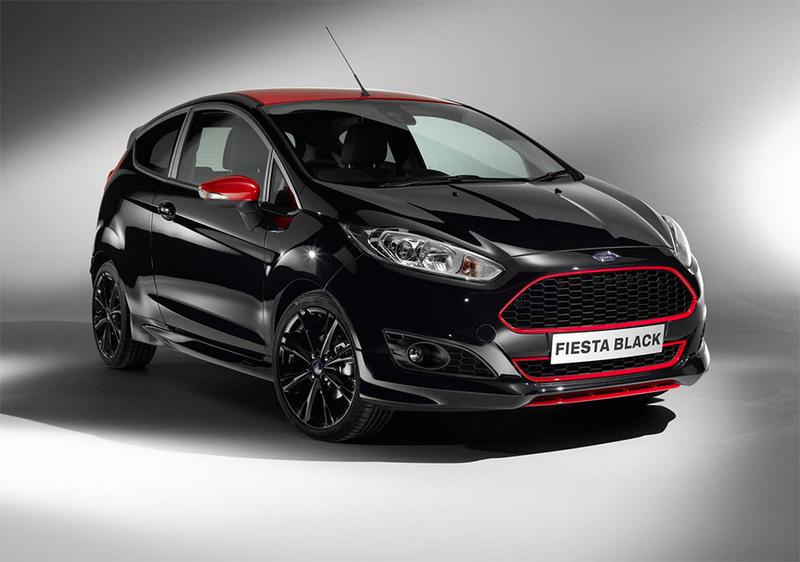 Each color comes with contrasting grille surrounds and 16-inch Panther Black alloy wheels or, as an option, 17-inch versions of the same. 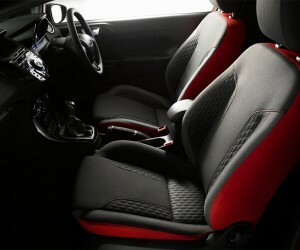 Inside, the red-and-black color scheme carries over to the black seats with red bolsters, a glossy black center console, and contrasting red stitching throughout. 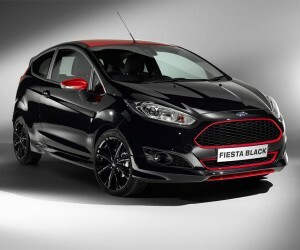 The limited edition Fiesta will come with Ford’s 1.0-liter three-cylinder EcoBoost engine which produces 140 horsepower and gets the car from 0 to 100 kmh (62 mph) in 9 seconds with a top speed of 125 mph. 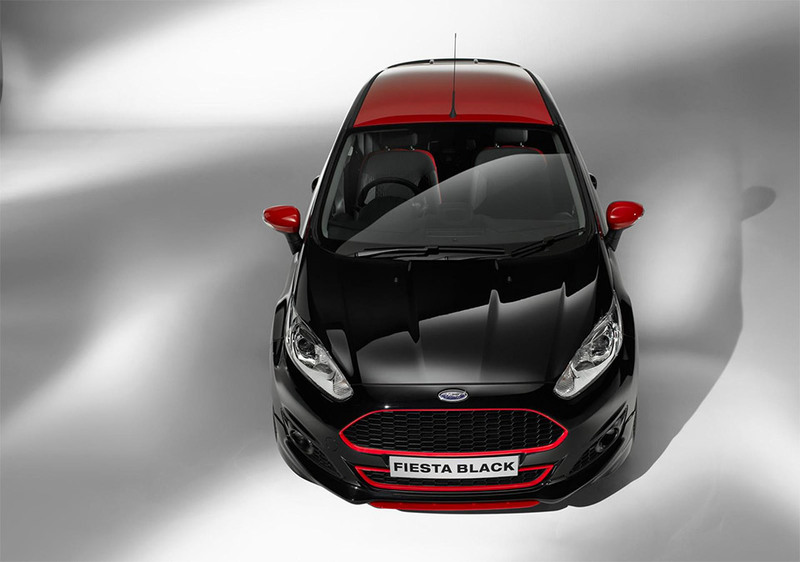 You won’t win any races in this Fiesta, but you’ll still look good behind the wheel. 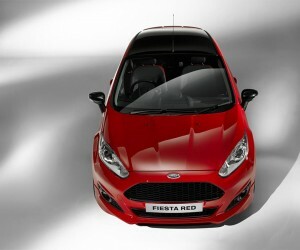 Until they wrap the Ford Fiesta RS in this same livery, you’ll have to settle for that.